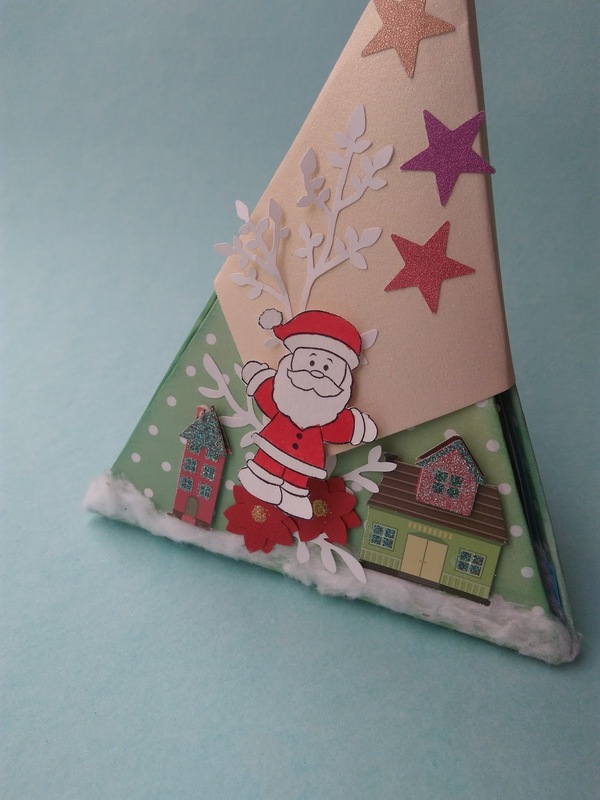 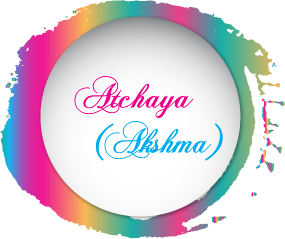 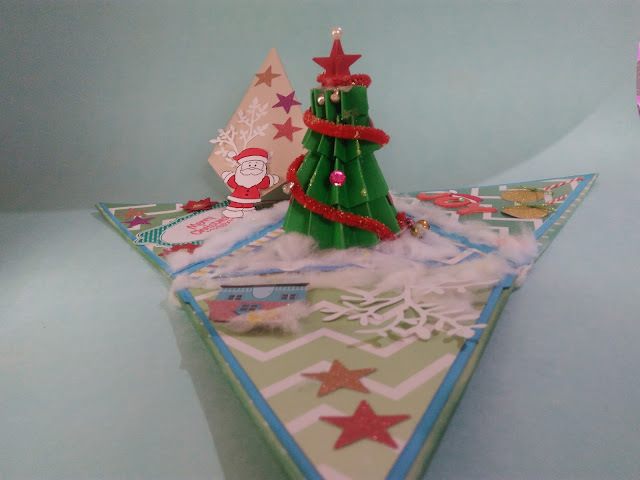 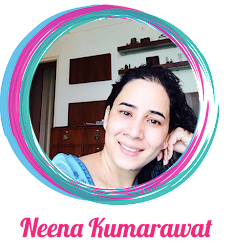 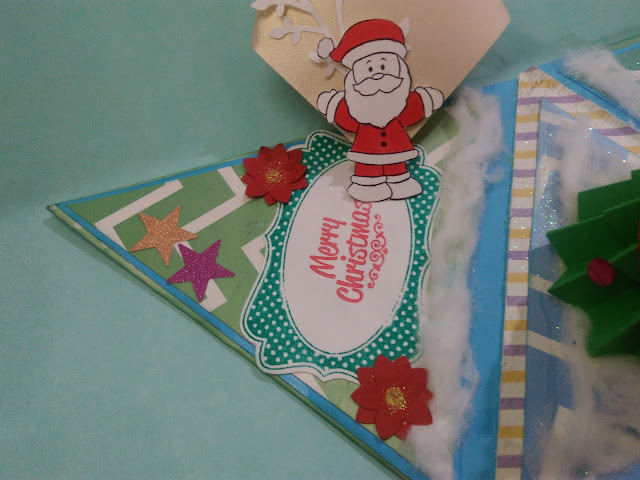 Today in my DT post for nakshathra designz I made triangle pop-up card with Christmas theme . 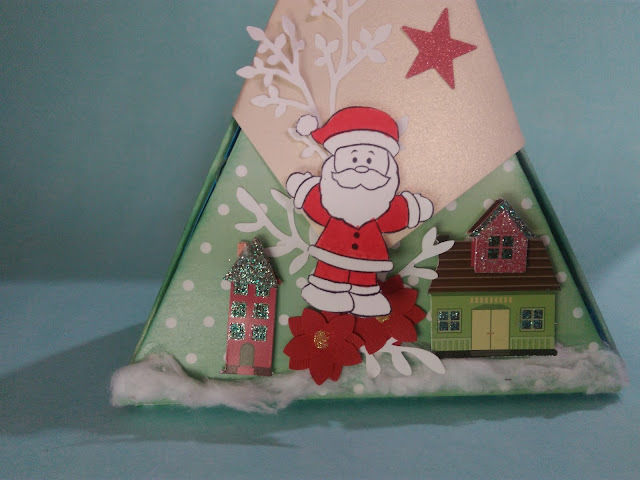 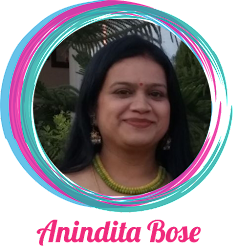 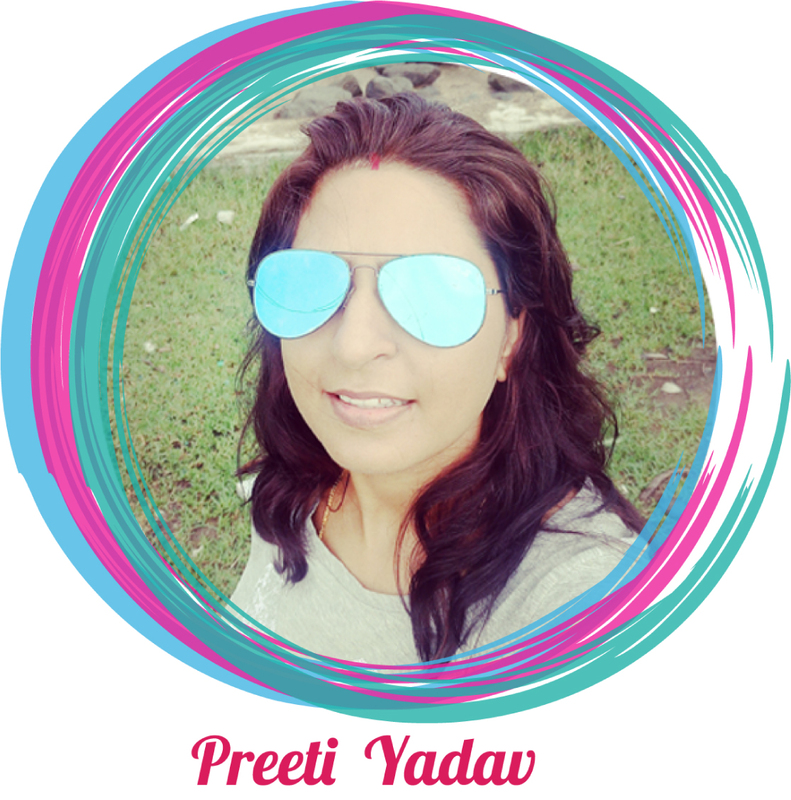 Used splashing colours paper stack..
Firstly cut 3 triangles of same size and as small one which fits other 3 so that small one be the base and other 3 as flaps . Layered inner sides of triangles,decorated with joy,christmas wishes and houses respectively on the flaps of triangles. 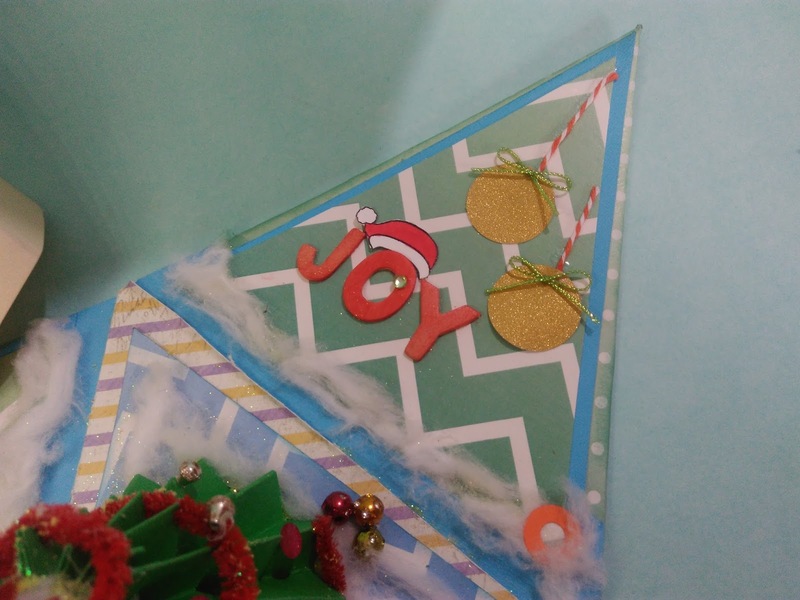 In centre of card I made a Christmas tree .Made rossets with graduation of size in rossets placed one above and made a tree . 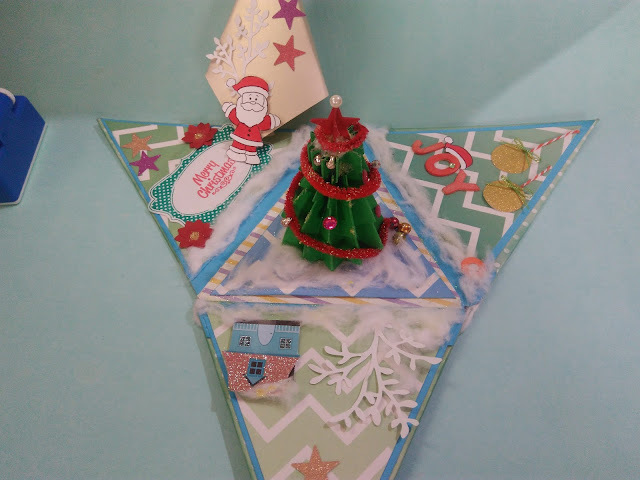 For snow effect I used cotton.. 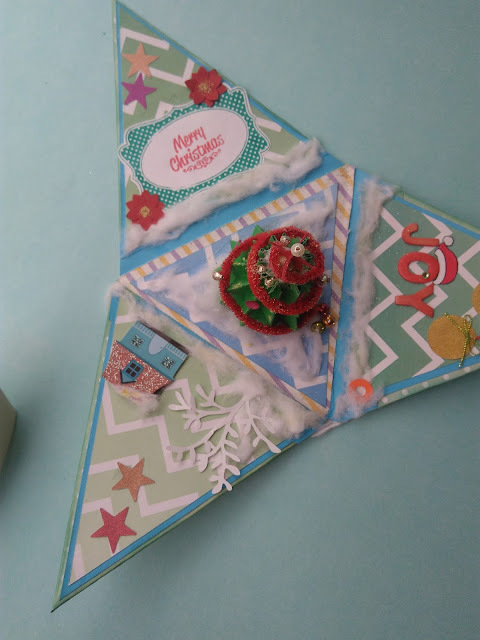 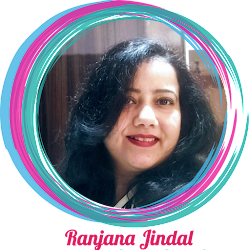 Finally embellished with some stars,glitters,pearls. 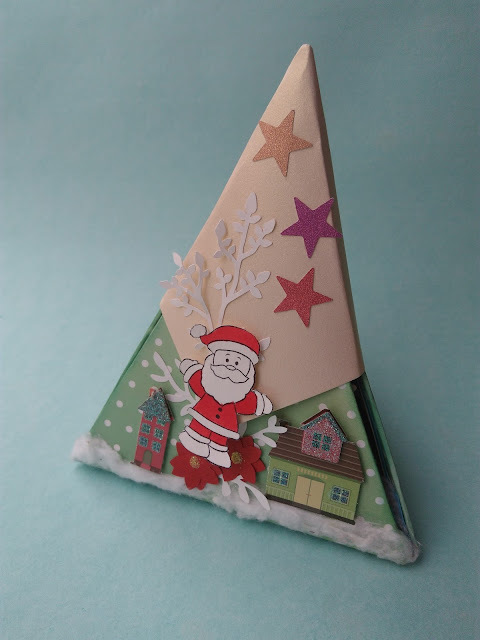 Finally made cap to triangle and decorated.